British double bend road sign and blue sky. Crossroads ahead road sign warning. 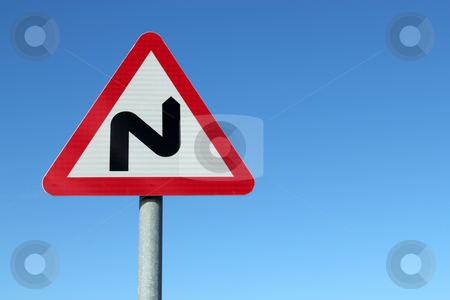 Photo of British double bend road sign and blue sky.